When was the last time you enjoyed brunch fresh off the barbie? The Space Grill's ceramic-coated reversible hotplate offers a versatile cooking surface for everything from burgers and buns to eggs and bacon as well as being perfect for searing and saut�ing veggies too. 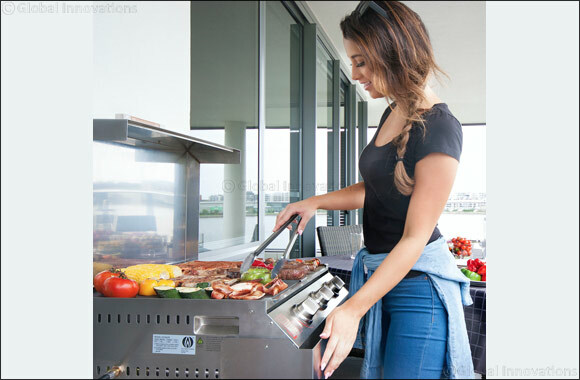 With measuring only about 24 inches high, 26 inches wide and only sticking out about 8 inches from the wall when folded away, the Space Grill can be installed in areas that most other grills cannot usually go. Handrails, stands, walls or other free standing, sturdy structures can be home to the patented mount and hinging system so balcony BBQ's are in business!